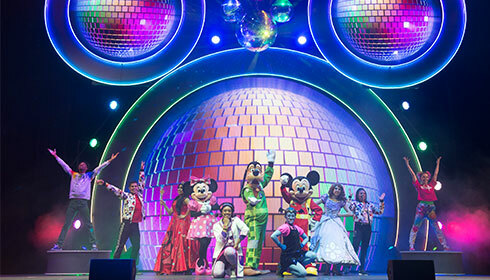 Disney Junior reflects the emotional connection generations of consumers have to Disney storytelling and Disney characters, both classic and contemporary. It invites mom and dad to join their child in the Disney experience of magical, musical and heartfelt stories and characters while incorporating specific learning and development themes designed for kids age 2-7. Disney Junior's series blend Disney's unparalleled storytelling and characters kids love deeply with learning, including early math, language skills, healthy eating and lifestyles, and social skills. In the U.S., Disney Junior is a daily programming block on Disney Channel and a 24-hour channel reaching over 71 million U.S. homes. In total, there are 37 Disney Junior channels in 27 languages around the world.For more information, please visit https://disneyjuniortour.com/.